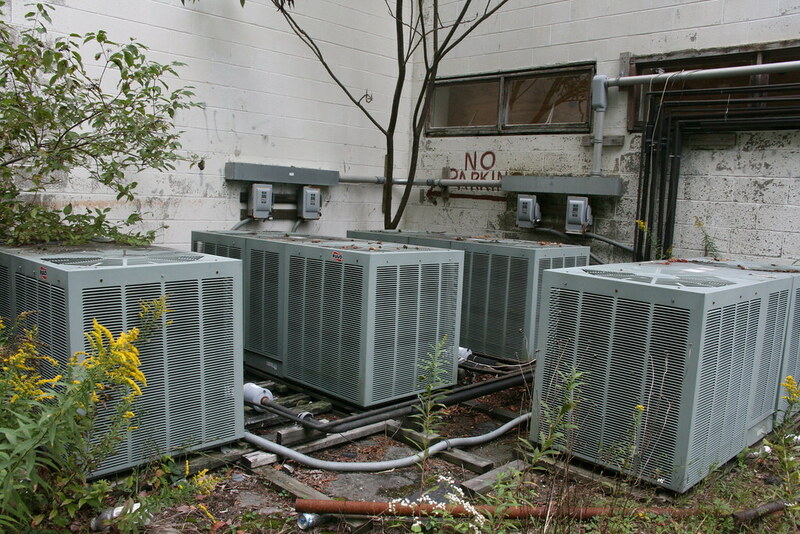 When your commercial-grade central chiller plant fails, do you a) repair it, b) replace it with the same unit, or c) buy a bunch of inferior, smaller, residential units and daisy chain together? Well, this is the Catskills, so you already know the answer. Proving once again that this is in fact a retrofit, the once drivable alleyway was painted and marked "No Parking". Now you couldn't even fit a car there.